Is there any shape that is more delicious than a pretzel? Squares are terrible, circles are boring, triangles... please... When you eat a cookie shaped like a pretzel it looks better, smells better, tastes better, and even sounds better as you bite into it. 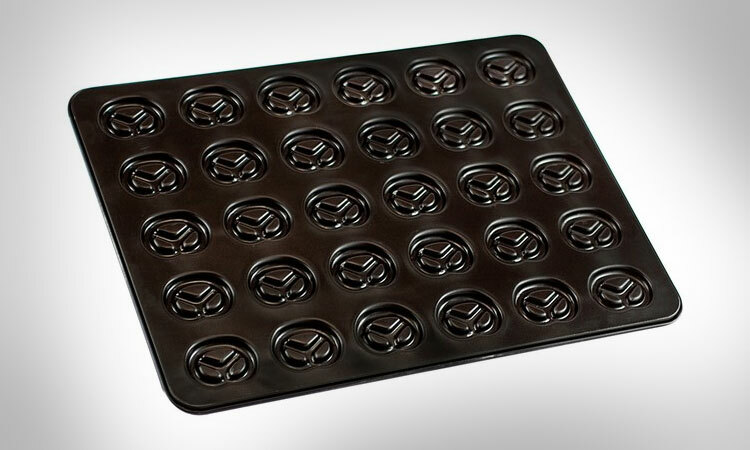 The mini pretzel baking pan lets you bake cookies, pretzels, or whatever type of goop you wish to drip into the pretzel shaped slots on the baking pan and make pretzel shaped snacks or treats. 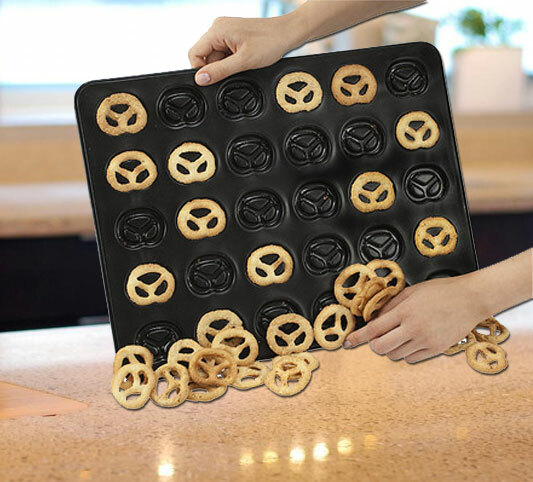 The mini pretzel baking pan allows you to bake up to 30 pretzels per batch, allows for an easy release of the pretzels without the use of non stick spray, and measures 16.5 inches x 13 inches.